New Pin Cheat: The Checkered Flag Pin! You have now found the Checkered Flag Pin! Cool! This is a really nice pin! Do you like it and have it? PUFFLE, AND THE SILVER PUFFLE!!!!!!!!! !!!!!!! FOR FREE!!!!!!!!!!! !!!!!! ALL ya have to do is just POST THIS in ANNY web page 3 TIMES!!! !once u ‘ve done, log on to club penguin, press F+5ctrl AND LOOK!!!! THERE ARE YOU UR PUFFLES!!!! BUT THIS IS REAL. 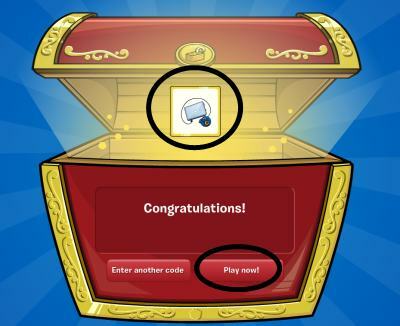 U can get the RAINBOW PUFFLE, THE GOLDEN PUFFLE, THEDIAMOND PUFFLE, AND THE SILVER PUFFLE! !